We represent all employees! / ¡Representamos a todos los empleados! For skilled employment law representation, turn to the Law Office of Peter A. Romero. Located in Hauppauge, New York, attorney Peter A. Romero has practiced employment law exclusively for more than 12 years. He is prepared to assist you with all of your employment law needs. 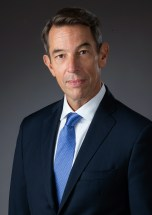 For employers, Mr. Romero offers cost-effective legal counsel to both prevent and resolve disputes and litigation. Mr. Romero was chosen to be included in Best Lawyers in America for Employment Law- Individuals and Litigation-Labor & Employment for 2013, 2014, 2015 and 2016. To learn more about how Mr. Romero's law firm can help you address your employment law concerns, call 631-388-7215 today to schedule a free initial legal consultation. Are You Being Paid Properly? While Mr. Romero handles a broad range of employment disputes, he maintains a special focus on wage and hour law. If you believe you are being paid improperly, contact the Law Office of Peter A. Romero for a free initial review. If your employer is not paying you correctly for all hours worked, including overtime, he will take action to remedy the situation and seek full payment of your missed wages. It is not easy to come forward and speak to a lawyer when you are being mistreated at work. Rest assured that your employer does not have the right to retaliate against you for reporting illegal activity. Mr. Romero can help you exercise your right to proper treatment and pay in the workplace. Mr. Romero can represent you at any stage in the legal process, including trial, appellate or administrative proceedings before the Department of Labor, U.S. Equal Employment Opportunity Commission or New York Division of Human Rights.